Today on the podcast we’re bringing you part two of our episode that discusses a topic that is not talked about nearly as much as it should be: mental wellness, mental illness, and depression. With this episode, I want to help break the barrier of this lack of talking about mental wellness and personal struggle. We all go through tough times and I think it’s really important we lean on each other. 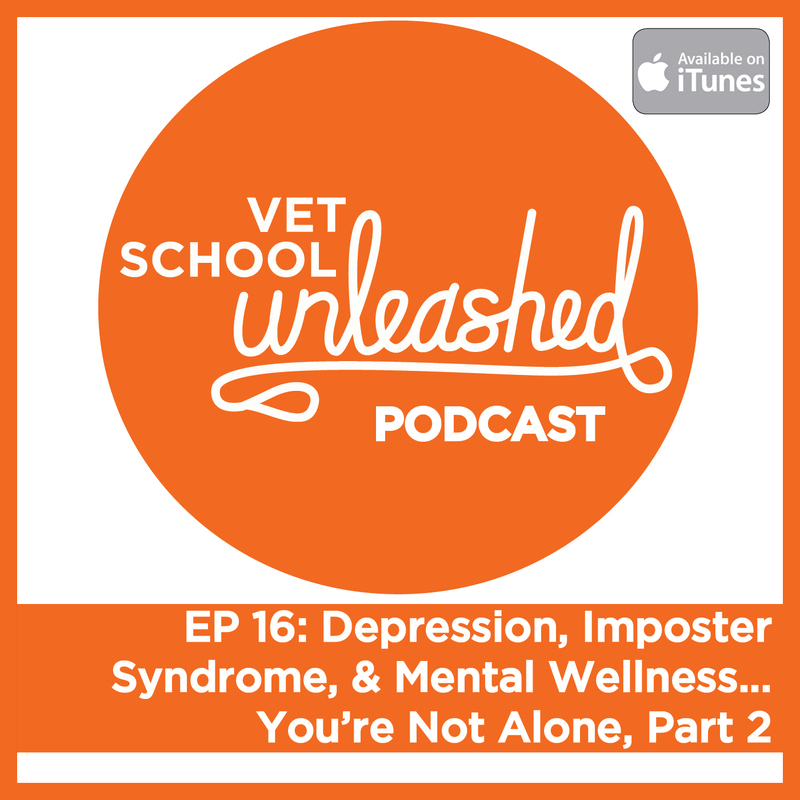 Once more, I've invited a few veterinary students to come on the podcast to share their own experiences relating to mental wellness and for them to share what they’ve learned from their experiences and give advice for all of us in the veterinary profession. The first step to making a positive change regarding mental wellness as a whole in vet med – is to talk about. Special thanks to Riley and Aaron for opening up about their experiences!